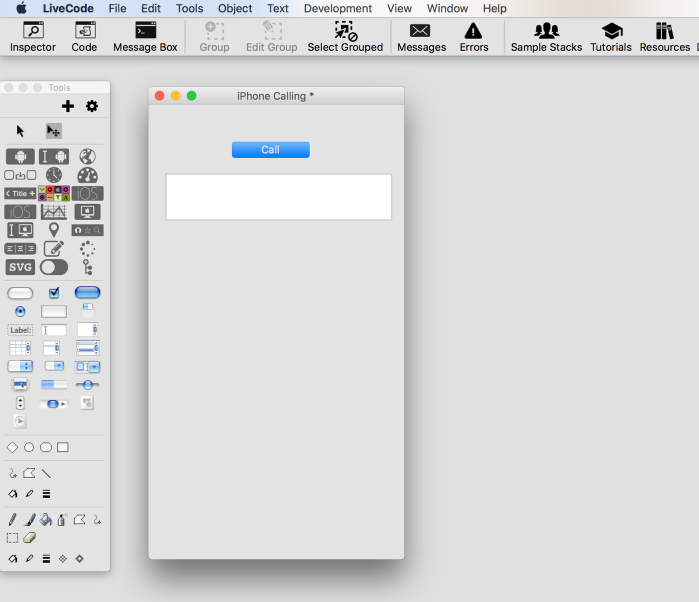 LiveCode LessonsLiveCode LessonsHow To - LiveCode Mobile Tasks iOS TasksHow do I make a phone call on the iPhone? In this lesson we will look at how to place a call from a LiveCode app that is running on a network enabled device. 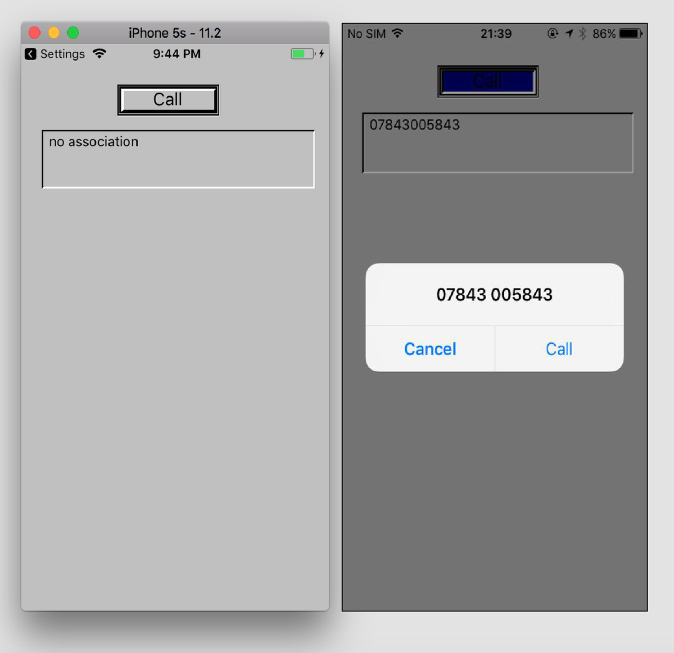 2) Drag on a button and call it "Call"
3) Drag on a field and call it "number"
launch url "tel:" && field "number"
put the result into field "number"
In this example we are letting the user enter the phone number into the field we dragged onto our stack. We build the call string and pass it to the launch command. The second line of code simply puts the result of our call into the same field. If the string passed to launch command is incorrect you will see a "no association" message appear in the field. The simulator does not have the ability to place a phone call so you will get the "no association" message described above. You will need to build the app and deploy it to your phone to test. Prev: How do I Configure the Status Bar in iOS? Next: How do I read/write to files on Mobile? Is it easy to put a layout of a picture image in the background? If so how would that be done? Many thanks in advance for any insight you provide. I look forward to creating with this suite! The image you see there is controlled by iOS. If you have assigned an image to the your contact, it will be displayed as above. Unfortunately, that is something that iOS controls so it is not posible to customise it.